Our Archetype stave drum kits are some of the finest sounding drums that you will find anywhere in the world. 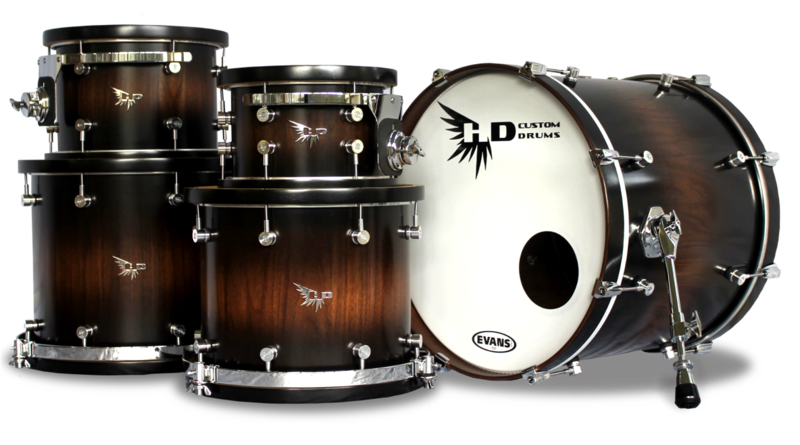 The combination of tone, resonance, and clarity that these solid wood drum shells produce is unmatched in the drum world. With our Custom Series drums all of our experience and expertise is at your disposal aso you can design exactly the kit you want. From the wood species to the bearing edges to the finish type and a whole lot more, you decide exactly what you want and how you want it. 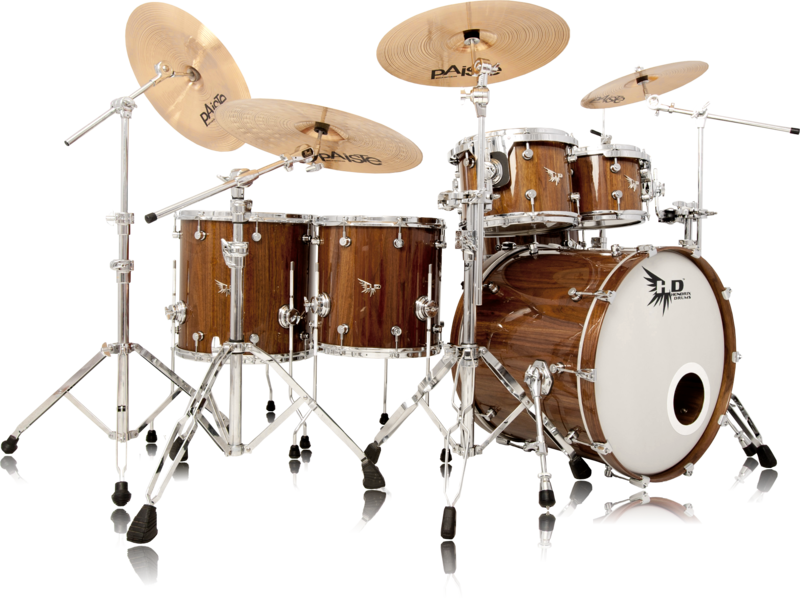 We have a vast array of woods that you can choose from to build your drum kit. Anything from American Black Walnut to dense African Bubinga to 100 year old Sunken Cypress. If it is out there, we can build a drum kit from it. When selecting your wood type the general rule of thumb is that harder woods have more attack and a naturally higher pitch, and softer woods are warmer sounding with a naturally lower pitch. Here are some of our more commonly used woods divided into classes based on price. Every Custom Series kit comes with the same features that you will find on our Archetype Series kits. Though with the Custom Series you can add to or alter those features and a whole lot more, below are some of the custom options that you have when designing your kit.